This entry was posted in Hockey Equipment and tagged http://www.hockeydogs.com/tbag.html by Administrator. Bookmark the permalink. Since 1970, Montreal Hockey Company has supplied the hockey industry with high quality innovative hockey equipment for players of every level of play. 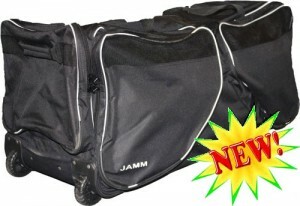 The New Jamm series are the best in the hockey industry for the prices offered.